For weeks, when my husband and I go out for breakfast on Sunday morning, I have been saying that I should make French Toast at home. It is a favorite of mine and I often order it at a restaurant. 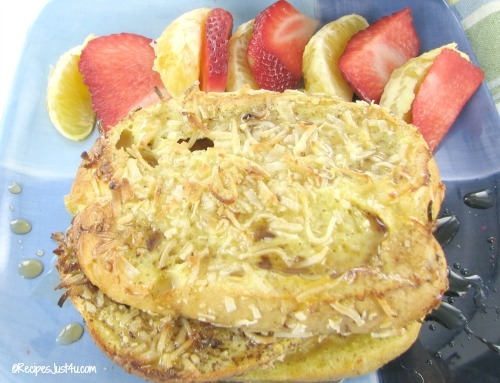 Well, I finally got around to it with this Coconut Crusted French Toast. And I am so glad I did. (and so will you be when you try this recipe!) And for you busy cooks – this is one of my favorite 30 minute meals. 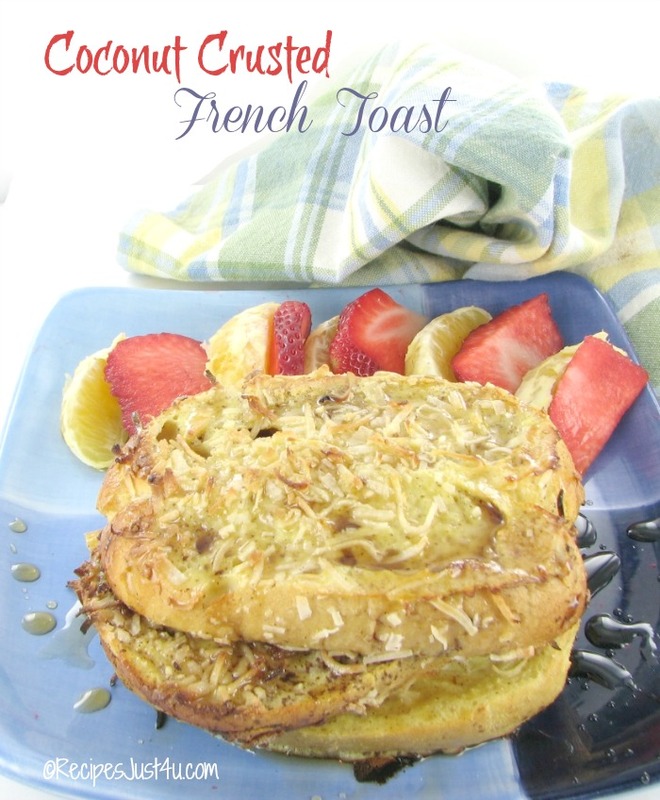 This French toast is super easy to make but tastes like you spent hours making it. It is so delicate in flavor and really satisfying. I wanted something that I could make quickly in the morning. 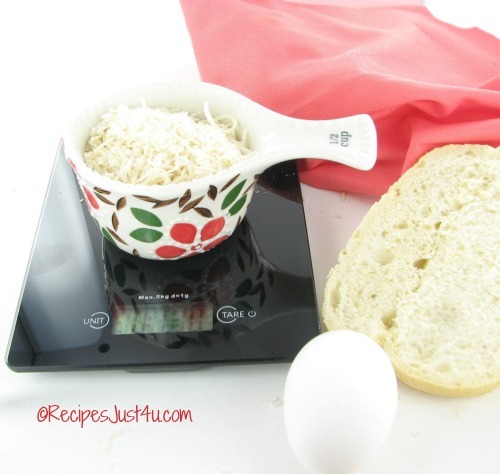 I also wanted to try out my new Fraser digital kitchen scale to see how it weighs! (affiliate) Previously I had a cheap plastic scale that took up a lot of room on my counter. I love the design of this one. It is thin enough to store in a drawer, or even on its side on the counter. Happy to say it weighs perfectly! Into the oven for 5 minutes on each side and add some pure maple syrup and you are done. What a treat this was. I won’t need convincing to make it again! In a large bowl, combine the eggs, milk, sugar, cinnamon, and vanilla extract and whisk until smooth. Place the pieces of bread in the egg wash, a few at a time and let them sit for about a minute. 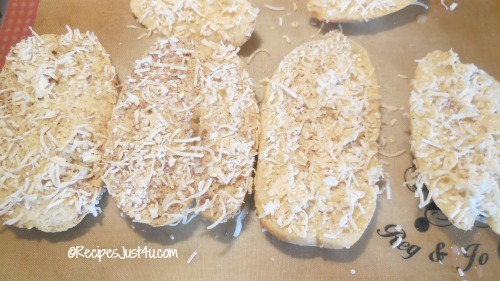 Roll in the flaked coconut and place on the baking sheet. Bake in the preheated oven for 5 minutes on each side. Serve with fruit and a drizzle of pure maple syrup.